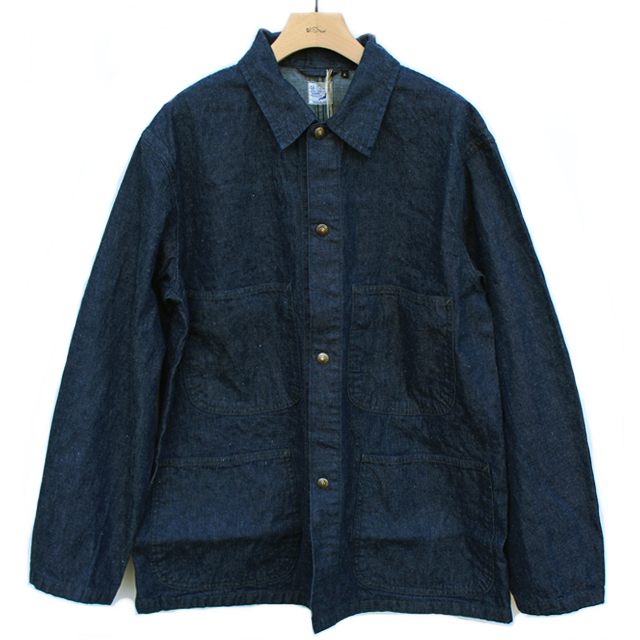 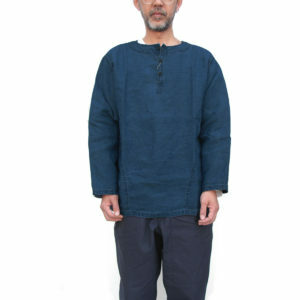 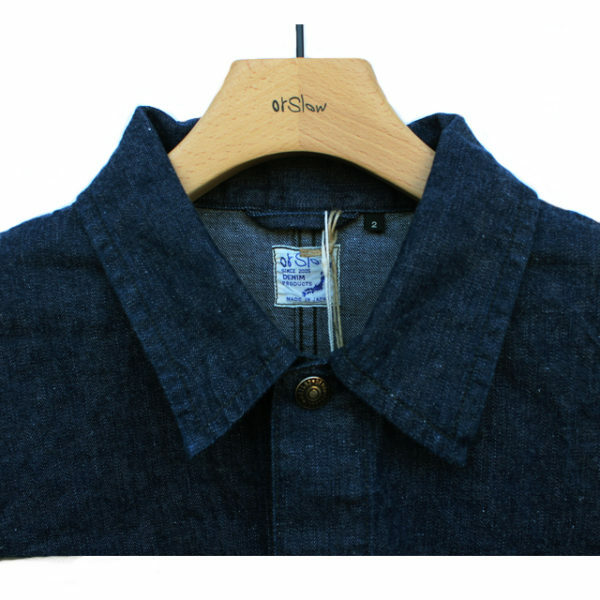 orSlow utility coverall jacket, made from their original 9oz light oz denim which is woven exactly the same way as the 50 – 60s vintage denim garment. 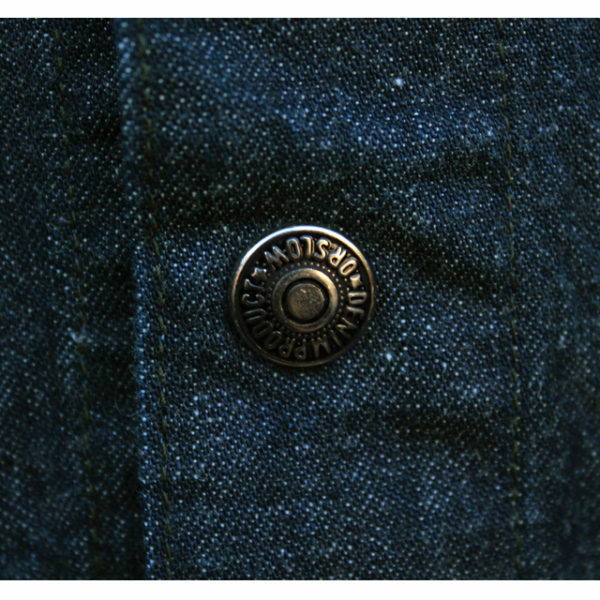 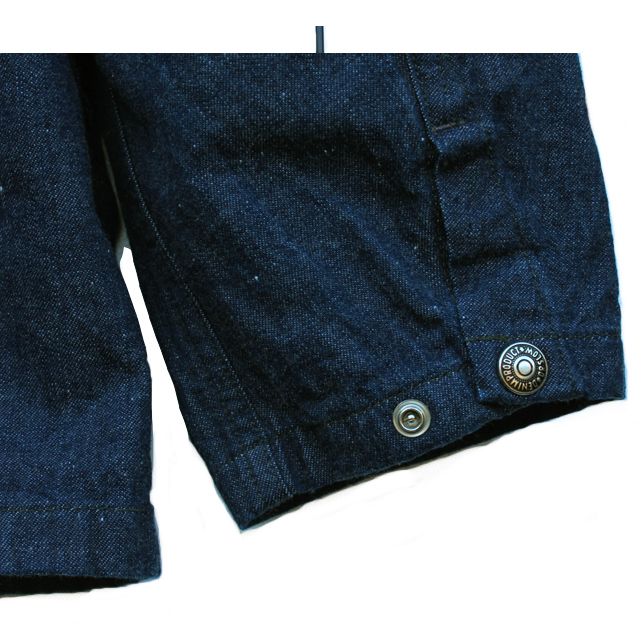 Neppy fabric and deep indigo in colour, feels as if it is the original vintage denim. 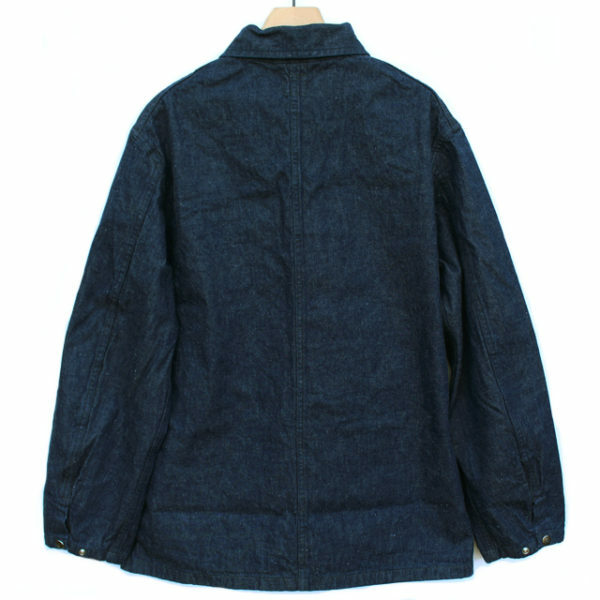 Ideal jacket for autumn and spring with a shirt or tee underneath. 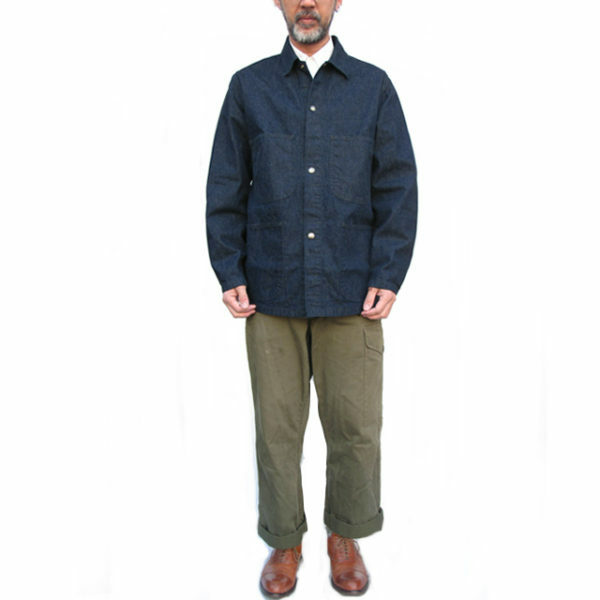 Based on 1950 – 60s US work jacket. 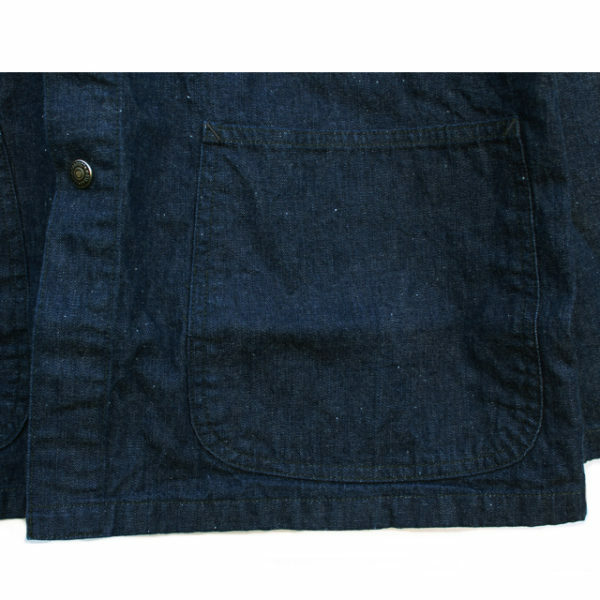 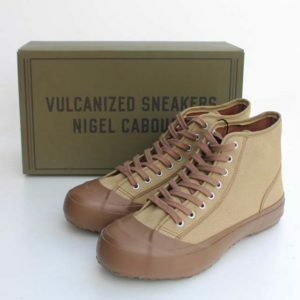 Beautiful plain design with four pockets and orSlow snap buttons. Regular fit. 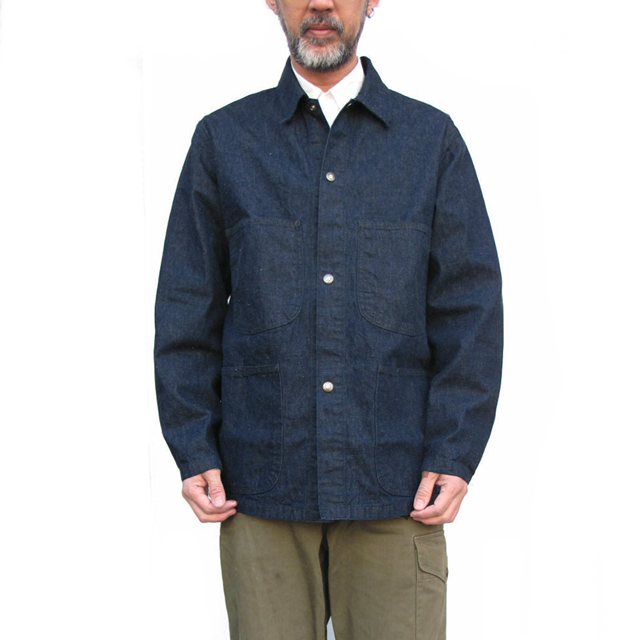 Simple denim coverall never goes out of fashion.